The Rainbow Museum is an international online children's art museum. Enjoy the fairy tale! Birds fly over the rainbow. Why then, oh why can’t I? Taken January 2009 at Diyarbakır, Turkey. Camera Nikon D300. 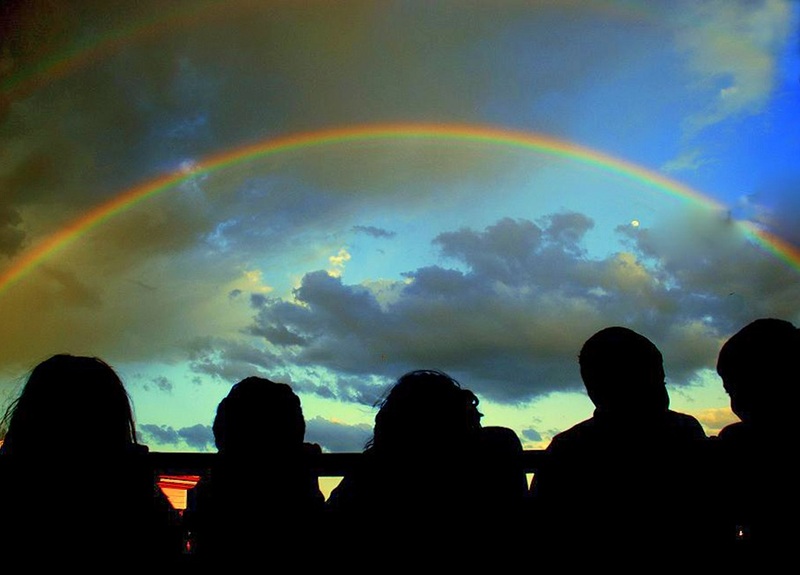 Dilan Bozyel contributed this beautiful rainbow photo to our digital museum collection, for which we are very thankful. Share this image: cc-by-sa. UPDATE April 1, 2014: ‘Children luckier than birds’ now on Wikimedia Commons. This entry was posted in The Rainbow Museum and tagged Dilan Bozyel, Diyarbakır, photo, photography, rainbow, Somewhere Over the Rainbow, the rainbow museum, The Wizard of Oz, Turkey on January 29, 2014 by The Rainbow Museum. When will the crooked cook leave the castle? Order Princess Iris and The Rainbow Museum now! Visit The Rainbow Museum on Instagram! Which gardener will help us discover The Rainbow Museum’s treasure? Share your rainbow pictures and stories. Become a Rainbow Explorer!